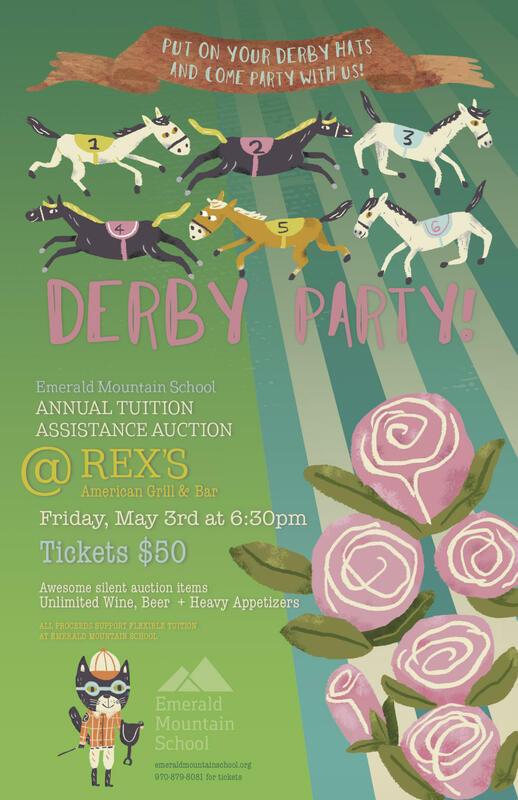 Put on your Derby hats and come party at Emerald Mountain School's annual tuition assistance fundraising auction. Tickets are $50 and include wine, beer and heavy appetizers. Tickets are available from any Emerald parent, or by calling the school at 970-879-8081. Come party and bid on awesome silent auction items. For additional info, please call the number above or view more in event details below.